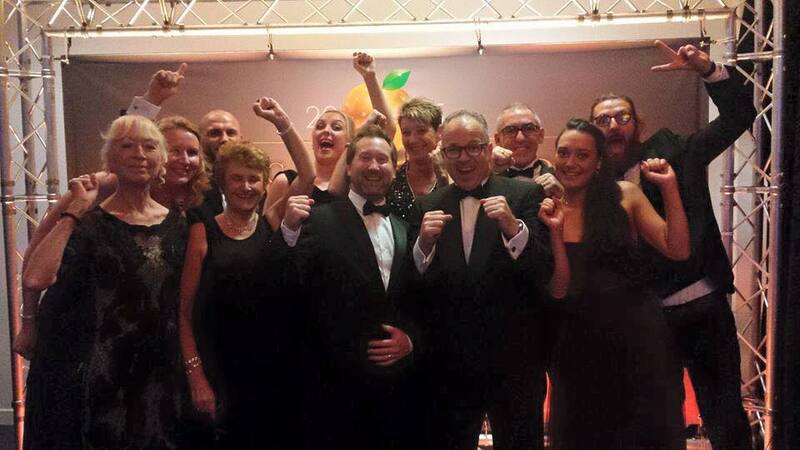 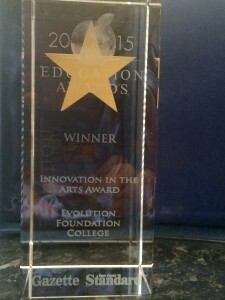 We were very pleased and excited to have been chosen as the winner of the “Innovation in the Arts” award at the Essex Educational Awards 2015. 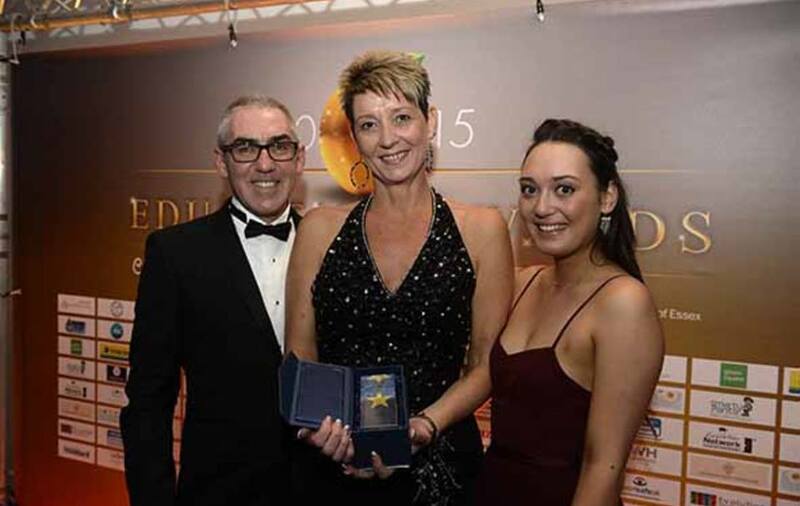 The black tie event was organised by Newsquest and held at the Weston Homes Community Stadium (home to Colchester United Football Club). 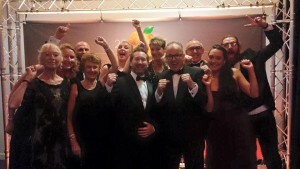 Evolution Foundation College staff celebrating their award. 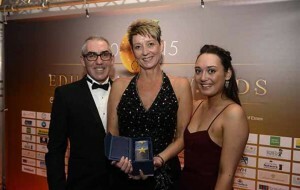 We were also really proud to have our College ‘Patron’ Mr Ian Waller with us for the awards evening. 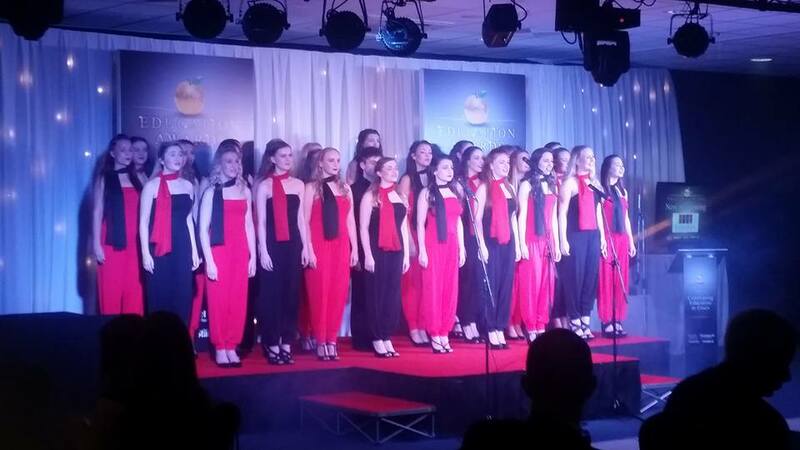 Our students also performed a fantastic vocal medley that was extremely well received by the audience. 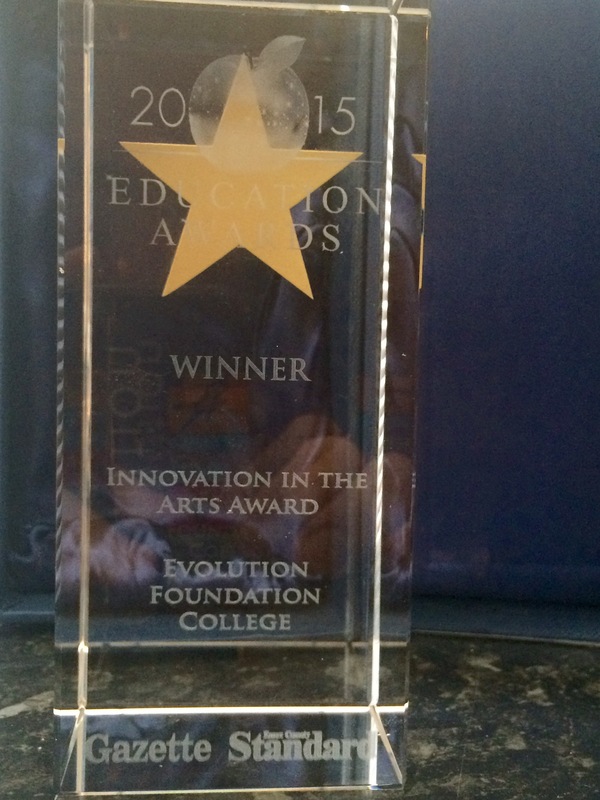 Our Educational Award 2015 “Innovation in the Arts”. “Since we opened in September 2013, for two consecutive years – we have had a 100% success rate for our students who auditioned at 3year Performing Arts Colleges, in addition to this ALL our students received “Full” or “Part” Funded offers”.  A testament to both our course structure and our teaching faculty.